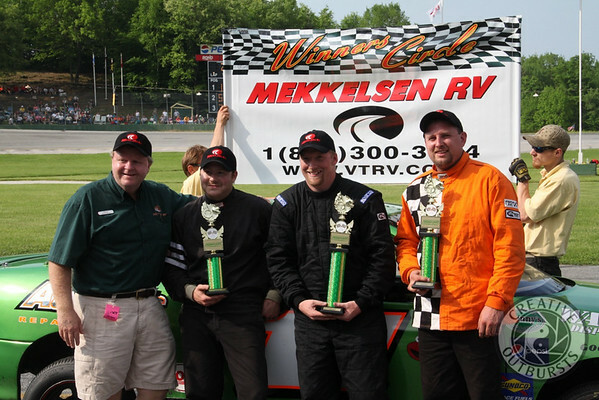 came out to witness Twin 100 lap Features as part of the 49th Annual Mekkelsen RV Memorial Day Classic. Overall, 400+ laps were run throughout the day with fewer than a dozen caution flags....clearly the drivers were focused and ready to go! 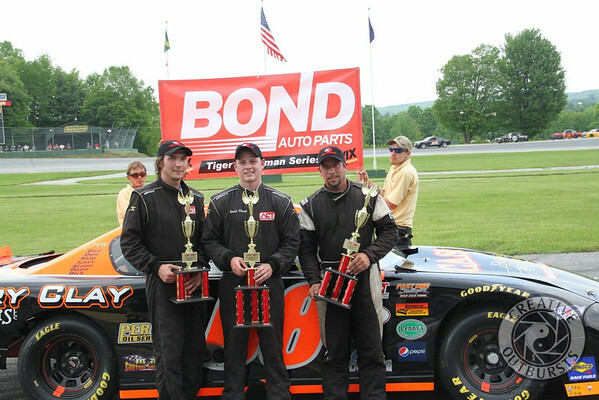 Derrick O'Donnell (center) picked up the win in the Bond/WIX Tiger Tour 100 lap feature. 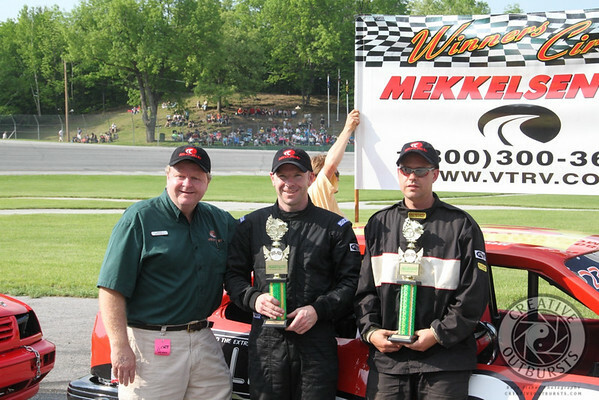 He was followed onto the podium by Eric Badore (right) and Tony Rossi. 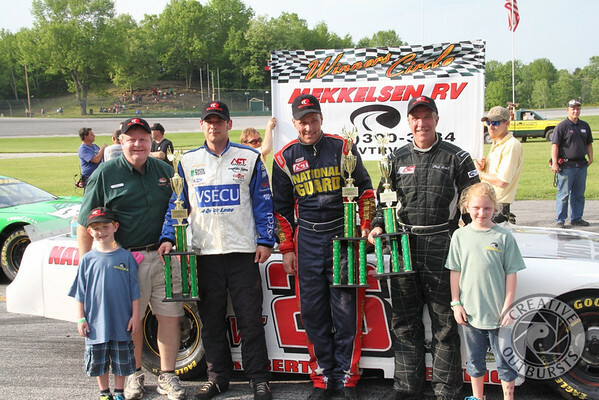 Nick Pilotte (center) made a last lap pass to grab the victory in the Street Stock Division. Sid Sweet (in orange) and Greg Adams rounded out the top three. Click here for my full gallery (973 shots) from this event!